New Law Says No Tows for DUI Drivers: Is It Fair? Will It Help? Drivers at risk for DUI in Los Angles sometimes face dilemmas. They don’t want to drive when they suspect they’ve had a few too many, but if they don’t move their cars from a bar’s parking lot, they may risk a tow truck taking it to an impoundment lot. Would they be more inclined to seek alternative transportation if they knew that their cars would remain in place overnight? The City of Tampa, Florida, thinks that they will. In 2008, the City adopted an ordinance that made it illegal for bars to have vehicles on their lot towed between 9 p.m. and noon the next day, unless they have signed an order authorizing its removal. 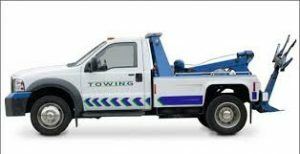 The law also forbids tow truck drivers from removing any vehicle unless they have a signed order that gives the make, model, color and license plate of the vehicle and the name of the person in the bar who ordered the removal. But the law has not worked as intended. According to a series of investigative reports by TV 10News in Tampa, neither bar owners nor customers are aware of the law. People interviewed for the news story said that fear of towing did play a role in their decision to drive their vehicles after they had been drinking. So Tampa’s City Council is now considering another measure to require any bar or restaurant that serves alcohol to post signs telling customers that their vehicles cannot be towed before noon. According to 10News, the goal is to encourage anyone who’s had too much to drink to seek a lift from a cab, Uber, Lyft or a friend. Although the cost of retrieving a towed vehicle can run as high as $175 in Florida, that would still be a bargain compared to the cost of a DUI conviction in California. A first offense will cost a minimum of $400. That doesn’t include court fees, the cost of the mandatory California DUI school and, in Los Angeles County, the cost of installing an ignition interlock device in your vehicle.